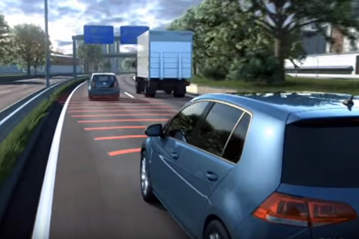 VW Front Assist can be switched off by the driver. If it is switched off, this mode is stored on the ignition key used at that time and remains off for the user of that key until it is turned back on again. It does not default to ‘on’ at the beginning of a new journey.